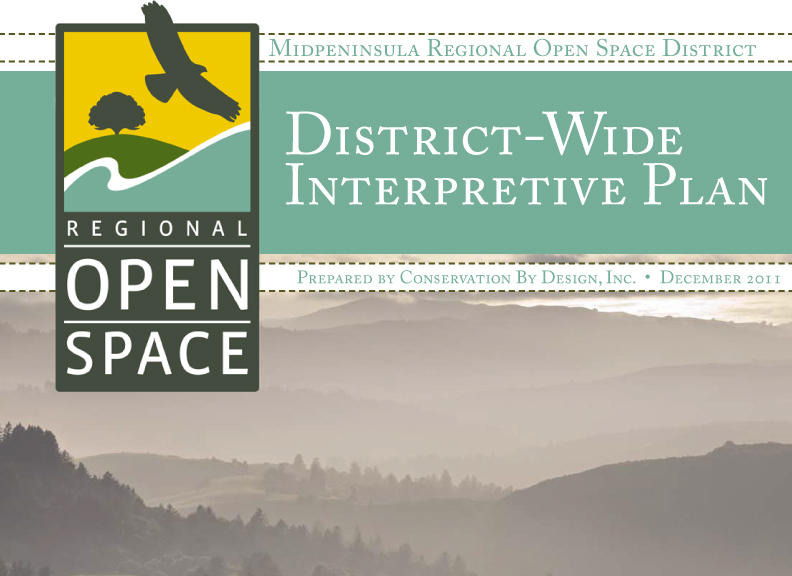 The Midpeninsula Regional Open Space District includes 26 open space preserves that span the Santa Cruz Mountains between San Francisco and Santa Cruz, CA. In 2010, the District hired CBD to take over the development of the interpretive master plan from another consultant. With a limited budget available, work was focused on establishing interpretive goals and objectives, overarching themes and storylines, and formatting the document for District management review.